Did you know that letting your car insurance lapse, even if you no longer own a car, may impact your insurance rate? That's right: going without coverage for a certain amount of time, which varies by state and insurance carrier, may affect your car insurance rate in the future. If you have decided to go car-less for a period of time, contact us to learn about low-cost non-owner policies. 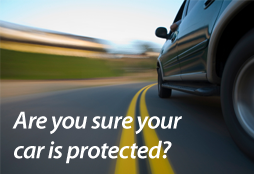 They can keep you covered when driving cars you don’t own and will keep your insurance history from having a lapse.